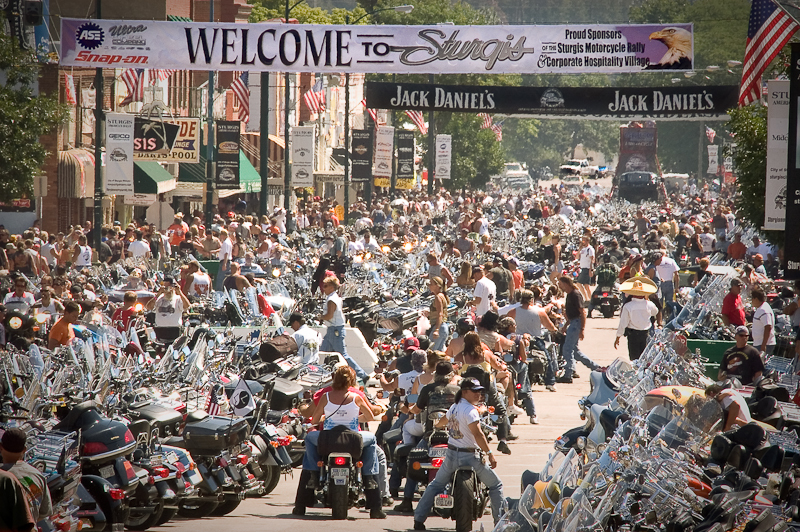 The Sturgis Motorcycle Rally encompasses the first week or so of August, and our campground will be 100% bikers during this time period. Rally rates will be in effect for any reservation that includes the Thursday before the official Rally week through the Friday of the week of the Rally. Please call for definite dates and rates. We hold the reservations of our returning Rally guests from the prior year until February 28. They must call us before that time to secure and retain their cabin/site from the prior year. On March 1, we will take reservations on a first-come, first-serve basis for the remaining availability. After your reservation is made, there will be a $10 per night charge for any cancellations made 28 days before noon the day of check-in. In other words, if you are scheduled to arrive Saturday, August 7 for a five day stay, you may cancel your reservation anytime before noon Saturday, July 24, and a $50 cancellation fee will be charged to your credit card. If you cancel within 28 days of your check-in date, your credit card will be charged for the entire amount of your reservation. Sorry, we do not offer Good Sam discounts during the Rally. Please keep in mind that we pride ourselves in having a quiet campground during the rally. We want you to have a safe ride and enjoyable stay.